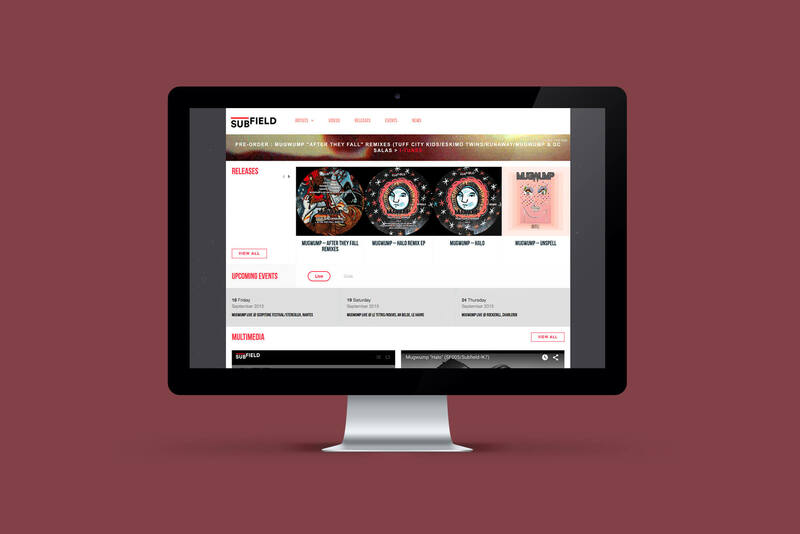 Logo and website for electronic music label Subfield. I was asked to design a strong and minimal logo for the newly created label Subfield. The website is responsive and has a news section, along with a special events page including an event location map, a newsletter subscription and the possibility to manage an online store. The client has access to data via the wordpress-native CMS system.